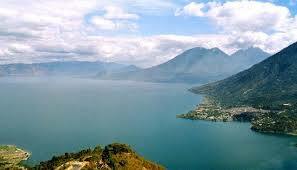 Guatemala´s Lake Atitlán is considered by many to be one of the world´s most beautiful lakes. Surrounded by volcanoes, mountains, and a dynamic Mayan culture, Lake Atitlán is the perfect place to learn about natural building. Santiago Atitlán is a beautiful, small town on the southern shore of Lake Atitlán. The Tzutujil Mayan people have lived in Santiago for thousands of years and have a cultural and historical tie to the land that dominates their worldview and cosmovision. The workshop will be hosted by the New Dawn Association of Santiago Atitlán (ANADESA). ANADESA was founded by local Tzutujil villagers after Hurricane Stan caused a mudslide that killed hundreds of people in 2005. After the mudslide, ANADESA brought together the community to help with the rebuilding effort and to coordinate a number of community development programs. ANADESA currently operates a number of educational programs for local Tzutujil children as well as coordinating an artwork cooperative made up of local women. The workshop will be held on ANADESA´s small plot of land on the shores of Lake Atitlán. 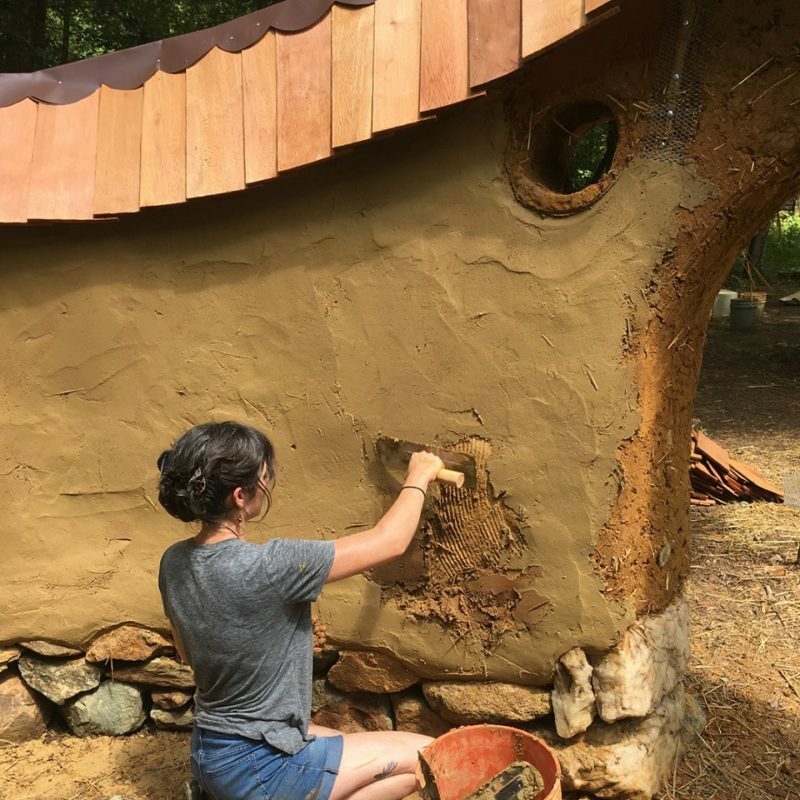 The small cob house that we will be building will be used as a small coffee shop and an artwork store/gallery to help ANADESA´s women´s cooperative sell their products. The workshop will be led by Tobias Roberts and Yasmin Méndez who have built over 10 cob houses in different parts of Central America. During the workshop, we will be building a cob round house which will function as a small coffee shop and store to be run by ANADESA´s women´s cooperative. Since there are a number of natural building projects around Lake Atitlán, one day of the workshop will be field trip to visit other finished structures made from cob, bamboo, and other natural construction techniques. The workshop hopes to draw between 10-15 participants. 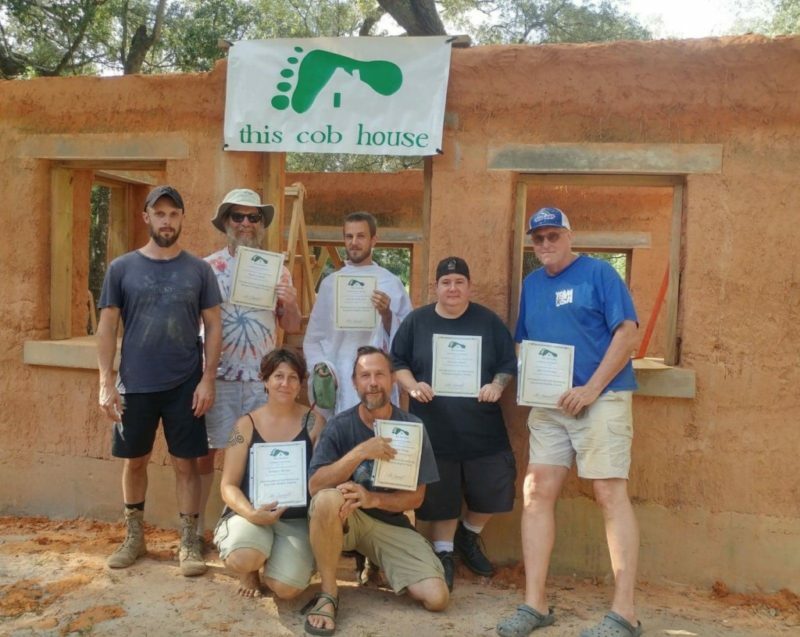 A group of local builders will also participate in the workshop in the hope to start up a natural building cooperative in the community. Guatemala has gained international notoriety as a country reeling with violence from youth gangs and drug trafficking. However, the vast majority of this violence is confined to the urban areas of the country. The quiet village of Santiago Atitlán where the workshop will be held is a quiet, peaceful town where violence of any type is a rarity. Workshop participants will have the option of being picked up directly from the airport and driven (by van) to Santiago Atitlán for no extra cost. 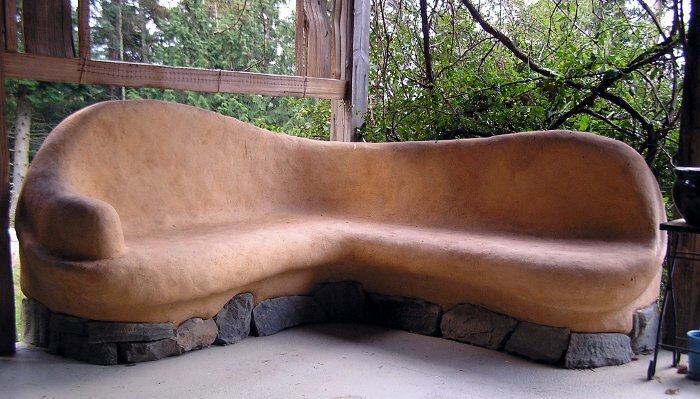 PM: Creative/Artistic opportunities for sculpting, creating niches and other means to enliven your cob structure including stairs, benches, tables, etc. November 13th AM: Continued construction of cob walls. For those that wish to stay after the workshop to travel around Guatemala or Central America, we are willing to drop you off anywhere between Santiago Atitlán and Guatemala City. Any expenses for optional tourist travel are your own and you would be responsible for getting back to the airport by yourself. We will begin each day with breakfast a 7:00 AM and begin work around 8:00 AM. We will break for lunch around noon and finish working around 4:00 PM each day of the workshop so that you can enjoy cooling off with a refreshing swim in Lake Atitlán. Due to the cost of round trip airfare that workshop participants must cover themselves, we have aimed to make this course as reasonably priced as possible. The price of the complete cob workshop covers three meals a day, fresh water available all day long, lodging with a local family in a private room, transportation from the airport in Guatemala City to Santiago Atitlán and vice versa by van, all construction costs for the cob workshop including all tools to be used, and a boat tour around Lake Atitlán during the field day of the workshop. Workshop participants will also receive an electronic copy of the book “Building with Cob: A step by step guide” by Adam Weisman and Katy Bryce and the cob classic “The Hand Sculpted House” by Ianto Evans. Furthermore, workshop participants will have the priceless opportunity to experience the wonderful hospitality of the Mayan Tzutujil people of Santiago Atitlán.